Charles Brindamour, CEO of Intact Financial Corp. recently said in the Globe and Mail “[Companies] who have strong brands, who have a very good understanding of consumer behavior, who have agile technology, [will] come in and start disrupting how the business is distributed”. He makes a valid point and for those that are not prepared for the inevitable convergence of these three critical factors, the future may be bleak indeed! Fortunately for users of Keal’s solutions, the future is bright and already here! Two factors -“agile technology” and now the new integrated Engage “customer metrics” solution are critical to getting the third factor – a strong brand – exactly right. In partnership with Navicom Inc, a leader in the development and implementation of automated, integrated customer measurement systems, Keal users can literally “flip a switch” to start the flow of continuous customer feedback. Knowing how customers “feel” about the products, services and overall relationship they have with the various organizations that they choose to do business with has become “table stakes” in the never ending battle for building a loyal customer base. While the insurance industry generally, and brokers specifically, have been slow to embrace this critical business trend, Keal now offers the most advanced solution available when it comes to understanding customer perceptions and how these perceptions impact loyalty behaviour. 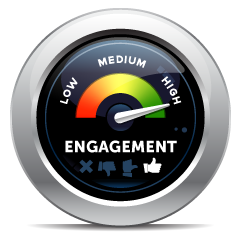 Brokers that subscribe to the new Engage customer metric system are able to piggyback on the seamless interface between Navicom and Keal to automatically gather customer perceptual data at key points of interaction (new customer, post renewal, post claim). Navicom manages the customer data flow on behalf of the broker and provides regular Customer Engagement and Performance Reports via a P & C administration site created for each unique brokerage. Keal brokers now have ongoing access to critical customer perceptional data and can monitor overall levels of engagement, loyalty and future buying intentions. Furthermore, individual customer engagement intelligence will soon be repatriated to the Keal database which allows broker personnel to monitor individual customer engagement in real time and take action as appropriate. In short, brokers no longer have to “find out the hard way” that they have lost another customer due to specific unresolved issues or worse, a slowly deteriorating business relationship that leads to the inevitable policy cancellation. customers before they turn into lost accounts. Originally published in the Keal Systems Users Full Circle Newsletter - Spring 2015. 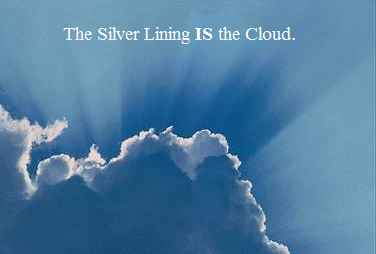 The Silver Lining IS the Cloud, with the Right Provider! The ever changing world of data technology has blast into the atmosphere and in house servers will soon become exhibits in museums. Water is definitely the new fire and your data is in peril of becoming a victim of flooding. Paperless initiatives such as scanning, eDocs and eMarketing have increased the size of your databases leaving in-house servers struggling to keep up. Commissions being cut by major carriers, government reduction of premiums and the ever-present threat from direct writers add new challenges to the day-to-day operations of many brokers. With all this added pressure, do you have time to monitor back-ups, test those backup, plan & purchase new servers (every 3-5 years), or maintain contracts with local techs? I can bet that the answer is ‘NO’. So, how can we avoid these requirements of your operation? Leave it to the experts, and the Cloud provides that convenience. So, what is the cloud you ask? Cloud computing has been around for quite some time. To simplify the explanation, one can look at Social Media. For instance, when you log into Facebook, you are accessing a Cloud environment. All of your contacts, photos, videos and status updates are stored in a ‘virtual world’. With the use of any device that can that access the internet, you can log on and gain access to all that you and your friends have uploaded and stored. This same concept applies to your professional data. Hosting your data in a Cloud allows you to access your files, software and data wherever you have internet access. Now that we have the basics down, let’s look deeper into the benefits of Cloud hosting. With the right provider, back-ups are done throughout the day which copies your data and keeps it safe from peril. This data is then stored in multiple servers in different locations for redundancy. This safety measure increases your security and creates a disaster recovery plan for you. So, let’s imagine a flash flood or even a bolt of lightning. With in-house servers, you would rely on the data based on the last back-up. Typically this can be from the day before, or even longer. Recreating the lost data can become a make-work project and let’s face it; no one has time for that! If your office is rendered unlivable, your business will be at a standstill until everything is back on track. Time is money, and loss productivity can hurt your bottom line. With a hosted solution, your business can continue, and all you will need is a computer with internet access and a phone. Everything you need to operate is safe & sound, ready for you to log on and get back to work. Emails are crucial to communication in this day in age. With the right Cloud provider, you not only have the ability to host your industry specific software; such as your broker management system; you can also store your entire Microsoft Office suite, in fact, the Keal Cloud comes with this as standard. This means your email, Word documents and Excel spreadsheets are also included in the safety of virtual hosting. Everything is secured in your online environment and accessible anywhere. This relinquishes your responsibility to maintain Microsoft licenses, monitor audits and conduct upgrades, giving you one less headache to worry about. How about your other necessary software? Yes, they are covered as well. This means your rating software, 3rd party products and network drives are all just a ‘www.’ away. With the right provider uptime guarantees are put in place to ensure that if something goes wrong with your ability access to the Cloud, you will be compensated. You no longer have to call the tech down the road to take a look at your server, hire an IT expert full time or try to fix it yourself. With Cloud hosting, you call your main support phone number and you can talk about your hosting as well as your broker management system. a. As a Canadian Broker, you want to know that your data is stored in Canada. Each country has different privacy laws. Supporting a Canadian datacenter ensures that your data adheres to the laws of the land. 2. What is my Uptime Guarantee? a. This defines the percentage of time that the Cloud will be up and running. Call around and compare, you will be surprised with the difference. (hint this higher the number the better; unlike your golf score). 3. What is the cost for hosting 3rd party software? a. Basic Cloud contracts allow for hosting of your typical software, anything over and above that may incur additional costs. Ensure to list all your business requirements and obtain a cost for having them all hosted. 4. What level of security is offered? a. Tier 3 is the minimum that we would recommend, this is the highest level typically for commercial enterprises. The only higher rating at present is Teir 4, which is usually deployed by Banks & Governments. It is important to note that all Tier 3’s are the same. Look into whether the Cloud provider is a certified Tier 3. Have them provide proof and do your research into the validity of the certification company. 5. What can the hosting company do with my data? a. Carefully review the contract prior to signing. Ensure that your data belongs only to you and no one else. ‘Big Data’ is big business, your contract should not allow your cloud provider to mine your data for statistical purposes unless you agree with this usage. 6. What is the level of redundancy protection? a. Find out how many data centers are in place to protect your data if one goes down. Determine how often back-ups are done in a 24 hour time period and what measures are put in place to protect you. Choosing the RIGHT Cloud provider is as important as the right security system for your house. Both protect what is dear to you and the contents being protected are irreplaceable. For more information on Keals Cloud solutions feel free to view our short video here http://bit.ly/1Eb7TJJ or contact sales@keal.com. We can provide testimonials, referrals and demonstrations of your new environment. It’s time to stop thinking in the clouds and start working it. Reminiscent of the industrial revolution, technology has revolutionized the way that we live. Technology has the ability to enhance our lives and simplify daily tasks by designing devices to reduce our workload. From washing machines to smart phones, technological advances have transitioned us into a state of automation. The insurance industry is no different than other sectors. From uploads/downloads, EDI and eDocs to eSignatures and audio signatures, technology has greatly impacted our business practices. It has provided a means to service our customers better and more efficiently. Online portals for customers allow instant access to their policies. Mobile apps make it convenient to file a claim, and automated email surveys gain insight into your customers’ experiences. Technology is an ever-evolving entity that molds our existence. So, how do we capitalize on technology? The answer is to adapt to our new environment. Insurance carriers are taking advantage of technology by reducing paper and they are using eDocs to accomplish this. Consumers are taking advantage of online presence to eliminate filing wordings associated to policies and accessing them online. In turn, brokers have the ability to take advantage of a number of automated processes. For instance, take paperless initiatives: do you have an automated process in place to delegate tasks based on downloads? Are you manually reconciling accounts as opposed to allowing technology to do the heavy lifting for you? I challenge you to look at the tasks that are most labor intensive and determine whether technology can help reduce your workload. Efficiency is defined as ‘achieving maximum productivity with minimum wasted efforts or expense’. In other words, take advantage of the use of technology to reduce workloads. The evolution of how we do business has been strongly based on workflows that are driven by automation created by technology. We owe it to ourselves to audit our business practices and find those tasks that can be accomplished by using the technology that is available to you. During the 2015 Insurance-Canada.ca Technology Conference (#ICTC2015), you will hear about great innovations tailored to your business. Review all options available and find the best solutions for your business. Challenge the status quo and capitalize on the options available to you. A proper mix of technology and business acumen will result in an efficient and profitable business. Open the dialogue with your technology solution provider and foster the relationship for the betterment of your operation. At Keal, we believe that the best solutions come from our clients and we are always ready to talk about tech. We’ll be at #ICTC2015. See you there! eDocs - Take the SNAIL out of your Mail! Recently I watched a movie with my son about a snail that gained super powers as a result of a freak accident. 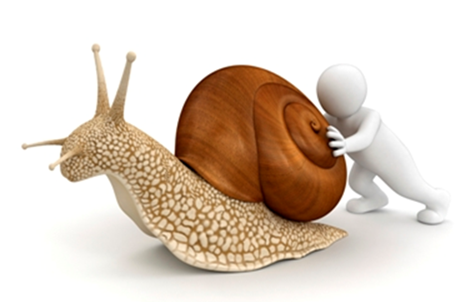 The snail mutated and became capable of moving at super fast speeds – he was a Turbo Snail. While watching this movie, I could not help but see a similarity between snail mail and eDocs. Without this super power, we are subject to operating at a snail’s pace. If moving at a turbo pace is not fast enough, hold on to your seats as we blow passed eDoc reports and automate the abeyance set-up process for eDocs & EDI. Currently, Keal brokers benefit from a zero-touch eDoc experience which allows documents to download directly into the client file with no manual intervention. This means no need to trigger the process by initiating a daily eDocs download into the client files. How do you know what documents have arrived? Historically eDoc reports are pulled showing what has downloaded for the day and then abeyances are set to advise the broker that their eDocs have arrived and to take necessary action. Keal brokers can fly passed this step so now when an eDoc or EDI download comes into your BMS, a suspense (or open abeyance) is created automatically. These can be created for a specific individual or workgroup and can also be colour coded if desired. Central processing has become more common as of late. Whether by transaction, alpha split, company etc. workgroups help to share the work amongst many and allow for a team approach to tackling workloads. This shared abeyance list can be linked to automated eDocs & EDI abeyances to streamline the process of distributing work providing a little nitro in your processing department. Suspenses will be displayed in a separate panel for workgroups and it clearly indicates which workgroup this suspense belongs to. So, at the end of the movie, the snail ended up losing his super powers, however, he determined that all along he had the heart that it took to win the race. The same can be said for our broker partners. 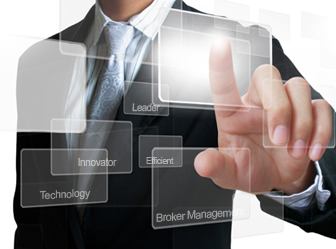 With all the technology available, the success of a brokerage is based on having heart. However, you have to admit, having heart and turbo can definitely put you ahead of the pack – with a few less paper cuts as well. Why Brokers Need to Seriously Review Their Use of Technology. There is a wide disparity of technology adoption in the Broker community. Some make better use of technology than others, yet there are still very few brokers nationally that are taking full advantage of the tools available to them. We see brokers that are large and prominent in their respective communities and you might assume they are high users of technology, yet in digging deeper, you will find they waste hundreds of hours manually processing items for which there is an automated solution. Why? It is definitely not ignorance. Insurance Brokers are some of the most connected and tuned-in groups of any industry. Instead, we find that these brokers understand the position they are in, but they are either a) too busy to put serious focus on technology b) too overwhelmed by their options that they do not know where to start and/or c) it is just easier to keep the status-quo. So what’s the problem with this? The fact is what worked in the past will not cut it today, and it certainly will not be good enough for the future. Consumers want more, your next generation of staff will want more and really, principal brokers, you should want more…and you can have it. Don’t believe me? Survey your clients. Think about what I am suggesting for a moment and consider how easy it is for you to do this. How easy is it for you to get a targeted client list for this? How would you send the survey? How would you track the responses of the surveys? There are tools for this today in the Canadian market and they should be used to the point where brokers are experts in this. You’re on board. Great! Now what? 1. Embrace change. So many times we hear “my staff will never go for that.” Change is scary. Especially for those that have been following the same rules for a long time. But nobody ever grew by staying inside their comfort zone. Identifying a technology champion internally can help, but as the brokerage leader, it is incumbent on you to challenge your team to grow. 2. Focus on your clients. “Customer Centric” is not just a buzzword-term. Think about your clients and your ultimate wish list for them. What are the missing pieces? How could you improve their experience on a regular basis? Not just at renewal! 3. Audit your current solutions. What do you have, how much are you using and what are you missing? We contact our clients regularly to see how we can help. Take us up on it! This doesn’t necessarily mean buying more, it means using more and using better. We talk to more brokers in a week than you likely do and are happy to share advice on creative trends we see. The bottom line is, build a plan and act on it. Technology is not going away and brokers that master it will flourish in doing so. Are Today's Consumers Satisfied with Brokers? Canadian brokers provide a choice for their clients and prospects, in addition to being a trusted advisor. But is it enough to keep clients or attract new ones? I am of the opinion that, unfortunately, in 2013, it is not enough. What is lacking? This past March I attended a presentation focusing on a Canada-wide IBM survey involving more than 1,000 participants. It concentrated, in part, on consumer buying habits for home and auto insurance and compared these buying habits with direct writers and broker company insurers. The survey concluded that consumers value and choose brokers for choice and their advisory role; consumers choose direct writers for speed and ease of doing business. On the ease of doing business with broker companies, 70 per cent and more of consumers require the ability to do simple transactions with brokers, i.e. address change, billing change, policy change, report a claim, and all in real time. Upwards of 65 per cent of broker consumers indicated they wanted to do these transactions 24/7 from the device of their choice – web, smartphones, tablets, etc. These days, unfortunately, most brokers are not providing this ease of doing business. Deloitte suggested in the report that insurance customers want online capabilities to handle simple tasks that don’t require a live conversation with a representative of the carrier. Insurance customers, it said, "are starting to get used to the type of online capabilities provided by banks – the insurers’ financial-sector peers ... they are expecting the same level of capability, and it’s just not there." More than half – 52 per cent – of respondents would switch insurers if they could get "greater online capability, which should be a frightening number to some of the carriers out there that have no strategy around how they are going to go online or how they are going to serve their policyholders. As the direct carriers get more prevalence, they will naturally provide these capabilities." Carriers lag in their online offerings and are not meeting the expectations of customers younger than 40 with post-secondary educations, according to the report. "We feel a lot of insurance carriers have looked the other way on providing some of these capabilities, on the assumption that the brokers are responsible for it, but I think the overall theme of this survey shows that policyholders have an expectation of this capability. Brokers aren’t providing it, therefore carriers need to find a way to provide it." "The preferences did not vary as far as what people wanted based on their channel of purchase ... meaning if you were a broker-based versus direct ... it wasn’t statistically different, what you wanted from the carrier." But "virtually none of the respondents’ carriers provided the online services that the respondents wanted." Brokers, insurers and broker software companies know exactly what is being requested by consumers. We know our market share in personal lines is dwindling steadily and surely. As president of Keal Technology, I know the technology is there and available today to answer consumer demands. As an owner of a Canadian brokerage, I know we can not only reverse the market share trend in personal lines, but turn this trend to our favour. Brokers must lobby and demand from their major insurers a commitment to invest in real time mobility access for their consumers. I hope this short article becomes a call to action for brokers across Canada. Fifty-two per cent and 70 per cent are large consumer demand percentages. Keal and Unica now have automated real time policy changes; soon this will be available to Unica insureds. We need more insurers to offer this service to their brokers. Brokers excel at lobbying, so I suggest you write to your provincial associations and to your insurance company presidents and representatives demanding immediate action and investment on real time initiatives. Keal is dedicated to doing its part to make this happen – by making brokers more efficient and more profitable, by increasing their market share and ultimately by helping them stay in business. But we can’t do it without you, the brokers. BMS Supporting Broker Growth - Luck o’ the Irish – or Deeply Aligned Business Strategy? March 17th 2014 was a day of celebration for Keal, and perhaps not for the reasons you might think. Each year, we participate in an event with 600+ Insurance Professionals called the Insurance Canada Technology Conference (ICTC) in Ontario. The conference puts focus on how technology impacts the Canadian Insurance Industry through of its all sectors, segments and channels. It does this through keynote speakers, focus groups and speaker streams centred on the following core areas; Business Transformation, Marketing, Core Systems, Broker Technology, Data & Analytics, and Telematics & UBI. 1. Insureds want more contact with their brokers at a time & place of their choosing. This convenient access was the #1 influencing factor for insureds to continue during business with a broker, or select another advisor. 2. Broker commissions are being reduced, time spent speaking with insureds is increasing. Brokers must find ways to manage their time and workflows more efficiently. 3. Brokers must “know their competitor”. It’s not the broker down the street. It’s the direct writers. o This exists today and is being expanded to include more national insurers. o Several brokers are using this today to bind business over the phone with audio signatures. o Keal was the first BMS to deliver this (and may still be the only zero touch option), and the upcoming sigXP release includes workgroup and suspense options to further enhance this workflow. o Integrated with sigXP, you can have transaction triggered surveys sent to your clients in real time. Thus contributing to their need for additional communication from you throughout the year. o Real time insurance consumer access. True consumer self service options, connected in real time to your BMS. Since 2010, the ICTC has hosted an award component at this conference. 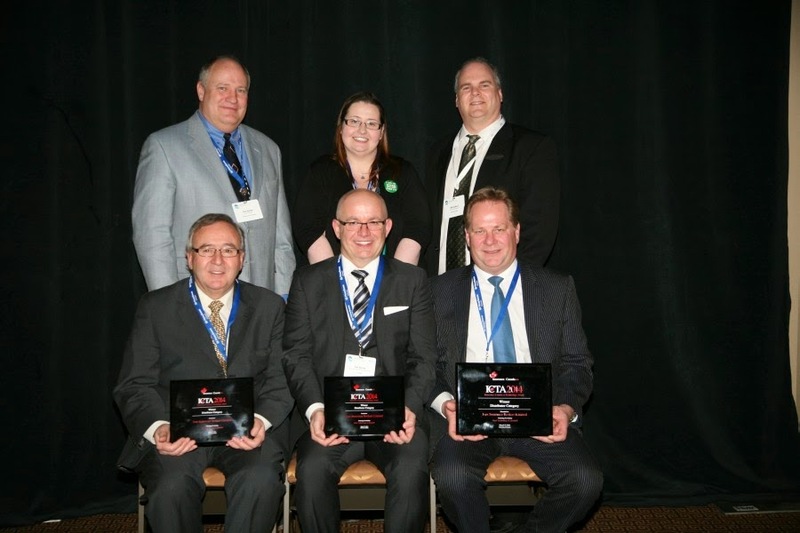 An Insurance Canada Technology Award (ICTA) is bestowed upon the ‘Best in Class’ in 3 categories. This year, those categories were Distributor, Insurer, and Supplier. Keal was nominated for a distributor award for the Keal CAP, together with our partners Quindell and Ives Insurance. Ives is the first broker to go live with the Keal CAP and delivering real time access to their consumers. In this category, we were up against two distributors nominated in partnership with Applied Systems. Keal took home the award. This brings us back to the celebrating. Was it because it was St. Patrick’s day? Or because it was our President, Patrick Durepos’ birthday? Or maybe because we won an award, recognizing Keal Brokers as having the most innovative solutions yet again? Incidentally, we have been nominated every year and brought home the win 4 out of 5 nominations – something no other BMS partner can boast about. All of those things are fantastic, but no, this is not why we were celebrating. As the only BMS partner that participated with a trade show booth, we celebrated the fact that our clients present at the event choose to spend their time with us at our booth. Of all the companies present, our clients chose our space to hang out during breaks, take their lunch and sit with during sessions. We see this as a testament to the fact that we are not just a vendor, but a partner. We work hard to deliver the goods, because our clients are not just “users” of our systems, they are a part of our family. And our family deserves the best.